Installing an android app from app store is one of the most popular ways to do your app installation. Search for the app===Click on Download and follow instructions. To install apps from other store like Amazon underground app. You need to enable apps from unknown source. Don’t be scared when the warning message pop up. To uninstall an app, Go to Settings===click on App and click Uninstall. You can force stop the app in this Menu. ==Scroll down and click on the account(You might fine Google and other social media account for social media apps). == Click on the top right Menu (three dots at the top). And tap Remove account. 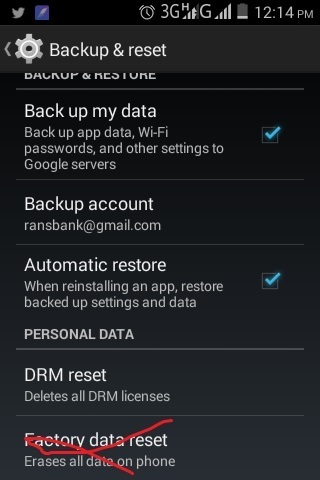 4 How can I Reset my Phone? As mentioned above, you can reset your phone to make it look new. There are several ways to do this. My favorite way to do this is as follows. Step two: switch the phone on while pressing the power button+Up/Down Volume button repeatedly. In some phones it is the Home+ power button and volume +home +power in others. Step three: You should see an unusual screen usually with a black back ground and the text in green. Step Four: Select Factory Rest and confirm. Wait for the deal to be done. This method can be used if you have forgotten your unlock pattern. ==Tap reset device and confirm by selecting ‘’Erase everything’’. 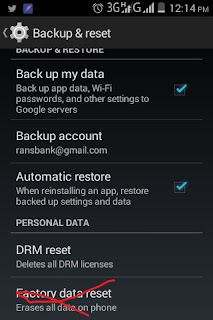 After deleting an account or Resetting your phone, you will need to add other account. Go to setting===Account===Tap add account. The social media accounts are added when you sign in on the apps. There is no need to add social media accounts by this method. Sign in and Ring your phone . You can also use Device Manager to do this. My recommendation is that you should get premium apps like: ‘’Wheres My Droid’’, Seek android or Pre Anti-Theft. These apps will cost about a dollar and can safe your phone from the bad guys or when it is in silent mode. Summarily there are three ways to do this. c) Using premium apps . You can use device manager or a premium app. How can you help and Android User?